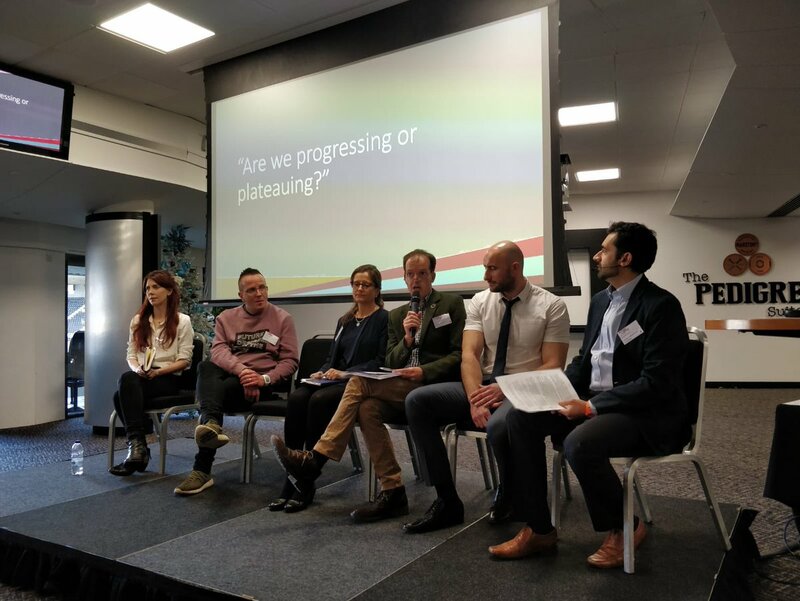 Last week, on Tuesday 13th November we brought together around 300 delegates for a tackling modern slavery conference for businesses to mark 5 years of Stronger Together. 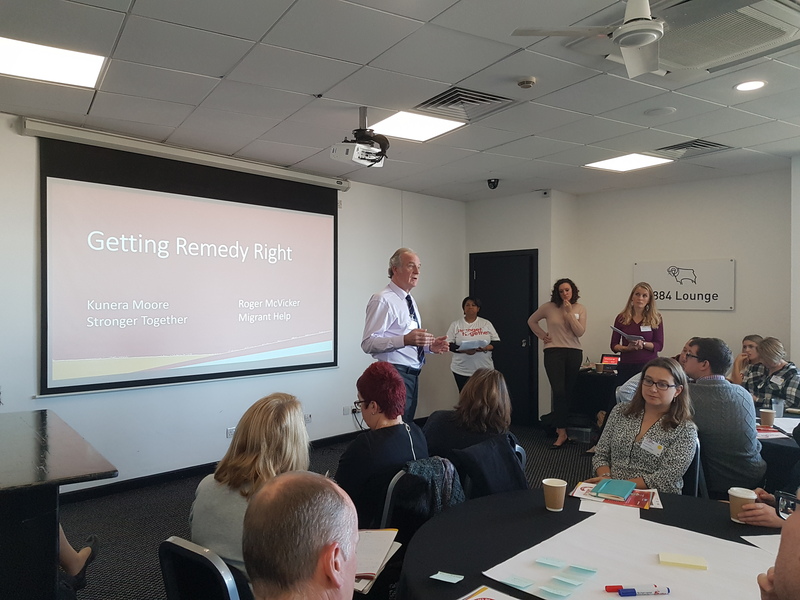 Assembled in Derby, attendees from a range of sectors, business backgrounds and countries came together to share best practice, learn from each other’s experiences and be inspired to take their next step to tackle modern slavery. 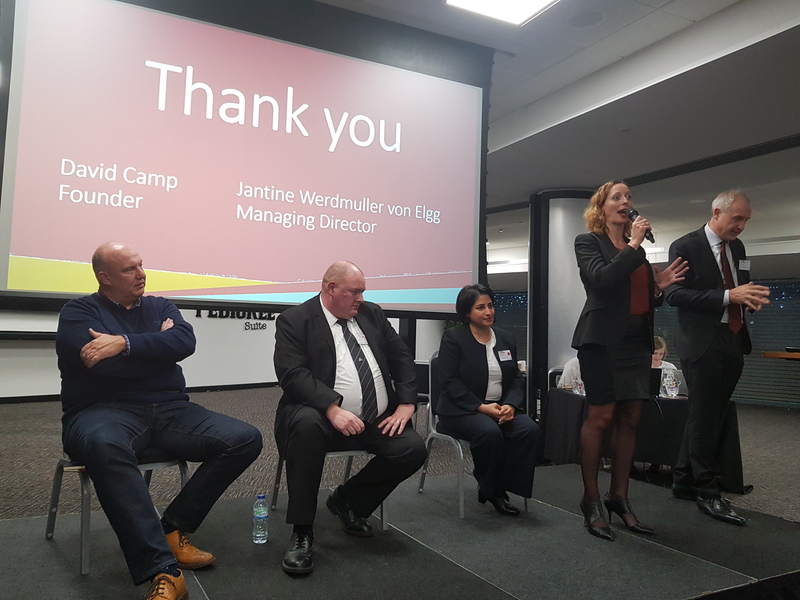 David Camp, Stronger Together Founder and Jantine Werdmuller von Elgg, recently appointed Managing Director, hosted the event and led attendees through the selection of speakers, panel discussions and interactive breakout sessions. Highlights included talks from Lara Bundock, CEO of the Snowdrop Project, Michael Drew, Head of Modern Slavery Protect at the UK Home Office, and Ynzo van Zanten, Choco Evangelist for Tony’s Chocolonely (Read the full agenda here). True to Stronger Together’s Guiding Principles, the event provided attendees with accessible information and guidance on implementing practical actions to mitigate the risks of modern slavery in their business and supply chains. Many commented on the “What to do When it Happens: Handling Cases of Forced Labour” breakout session, which brought together three speakers: a producer, a supplier and a retailer. All spoke frankly from their own experience of a specific incident of modern slavery that was discovered and shared the lessons they had learnt from that case. “Getting Remedy Right”, our second breakout session, opened up discussions on what remedy means for businesses, what are their responsibilities, and the different ways that victims of forced labour can be supported. Solutions to common challenges were thrashed out in our final session, “Your Next Step”, enabling peer-to-peer learning between businesses from different sectors who are at different stages of progress in tackling modern slavery. New pragmatic workshops, “Best Practice for Handling Cases of Forced Labour” and “Purchasing Practices” which will be available to book early next year. New monitoring and evaluation tools, ‘Organisational Performance Assessments’ and the ‘Progress Reporting Tool’ designed to support business on their journey to tackle modern slavery. Thank you so much to all those who took part as attendees, speakers, panel members, and facilitators and made the day such a positive and meaningful experience for all.